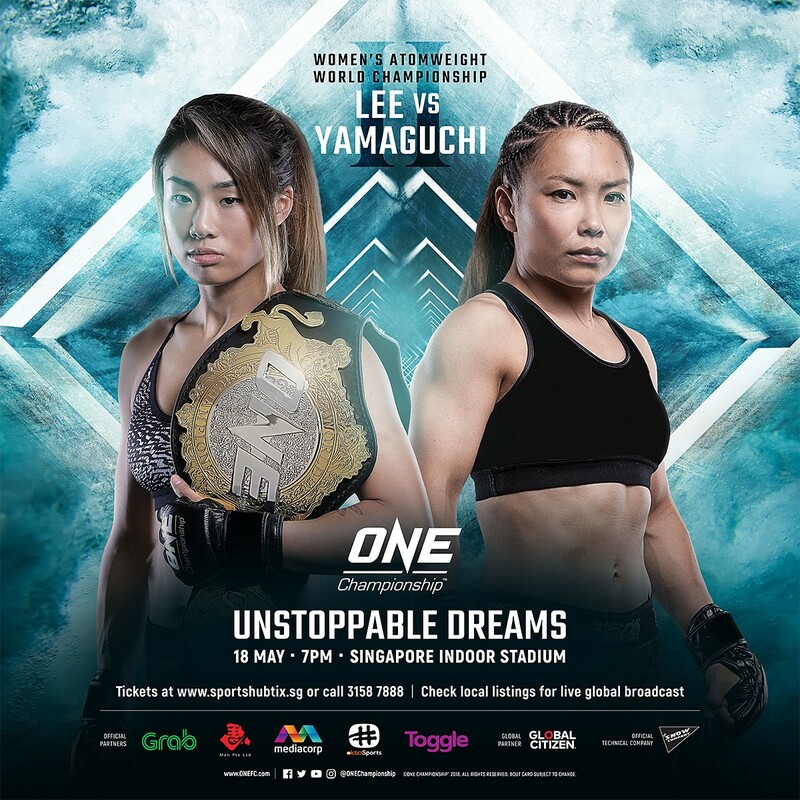 Description ONE Championship: Unstoppable Dreams was a Mixed Martial Arts event held by ONE Championship on May 18, 2018 at the Singapore Indoor Stadium in Kallang, Singapore. This event featured three title fights. First a ONE Women's Atomweight Championship bout between the champion Angela Lee and top contender Mei Yamaguchi to serve as the event headliner, secondly a bout for the inaugural ONE Muay Thai Flyweight Championship between Sam-A Kaiyanghadaogym and Sergio Wielzen as co-headliner and finally a bout for the ONE Featherweight Championship, Martin Nguyen makes the first defense of his title against top contender Christian Lee.